Through a holistic approach we equip educators to transform the way young people learn in a classroom. In 2014 Quest Alliance conceptualised and piloted an in-service, professional development course for educators that combined the power of experiential and digital learning. The course is focused on building a professional roadmap for educators and equip them with 21st century facilitation skills. MasterCoach was started in 2014 with pilot cohorts of Trainers in the employability sector. By 2017, the course had on-boarded over 190 trainers from across India. In 2017, MasterCoach was further extended for faculty members of engineering colleges as ‘Arise ToT - A MasterCoach Development Program’ with support from NASSCOM Foundation and Aricent (now Altran) where Quest Alliance worked with 150 faculty members in 5 engineering colleges. By end of March 2019, we had worked with 297 faculty members in 7 engineering colleges. In 2019, Quest Alliance and Aricent Technologies (now Altran) will continue to engage with educator, student and the institution to create 360-degree change in the ecosystem. Quest adopts an inclusive approach across our design to create meaningful learning experiences. Using a blended learning approach we aim to transform educators to create thriving classrooms and upgrade the capacity of the institutes as learning hubs where young people are empowered to build self-learning pathways to access 21st-century skills. 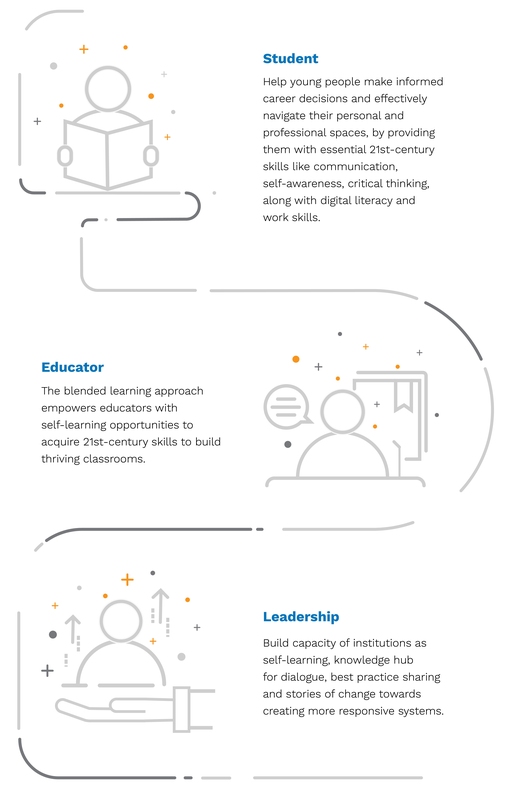 Quest in partnership with Aricent Technologies developed a sustainable change model that brings systemic reform and cohesive cultural shift in professional education ecosystem. Currently, the project reaches 7 engineering colleges in 4 states -- Tamil, Nadu, Karnataka, Delhi-NCR, Uttar Pradesh -- impacting about 297 educators.